If you love meteor showers (and who doesn’t?) the annual Geminids show is gearing up to begin in a few short days, so grab those lawn chairs or winter jackets, depending on where you hail from, and get ready for a spectacular show! Although, a few of the meteors from the Geminids are already making an appearance they will be at their peak on the nights of December 13th and 14th of this year (2015). Scientists are predicting approximately 100 of these zooming space rocks will be seen every hour, so it won’t take much to spot one. And the great thing is no telescope will be required. In fact, even the tiniest of debris (the size of a grain of sand) will light up the night sky as it burns up in our atmosphere. The meteors may appear to be coming from the Gemini constellation; however, they actually originate from an asteroid called 3200 Phaethon. This remarkable asteroid that measures about 3.17 miles in diameter (5.1 kilometers) and has a long dusty and debris-filled tail that Earth passes through each December. Scientists have known about this asteroid for about a decade, but what puzzles them is the amount of debris trailing it. Years ago, the Geminids meteor shower may have only produced about 20 meteor-flashes across the sky, but today we can see upwards of 100 per hour! This would lead into the theory that Jupiter’s gravity was slowly pushing the dust and debris into the path of Earth’s rotation until we are now at the point of encountering more and more of these meteors. Another theory suggests that as Phaethon gets close to the sun, the heat blasts particles off the asteroid, enough to cause a dust stream. Regardless of why, the Geminids is going to be spectacular this year. One of the great things about viewing the Geminids is when they are active they can actually stretch for a 24-hour period and be visible in the early evening — great for children to view — around 9 p.m. or 10 p.m said NASA. unobstructed by buildings is a must).NASA also urges sky-watchers to have patience when seeking these burning balls and to also “spend at least 30 minutes outside before seeking meteors,” so your eyes can become accustomed to the night time light and also enough time to find the perfect viewing spot. They also suggest to face South as this is the approximate direction the showers originate from. Well, that’s a relief! One thing that could happen though to spoil the show is Jupiter’s gravity may push the dust path too far out of Earth’s way, resulting in the meteors disappearing, but luckily, that isn’t expected to happen for quite some time. Don’t let the Geminids meteor shower slip by without taking a peek at this fabulous and FREE show! It only happens once-a-year, so be sure to grab your family and friends and head out to take in what nature has to offer with these spectacular celestial wonders. Name a star now! 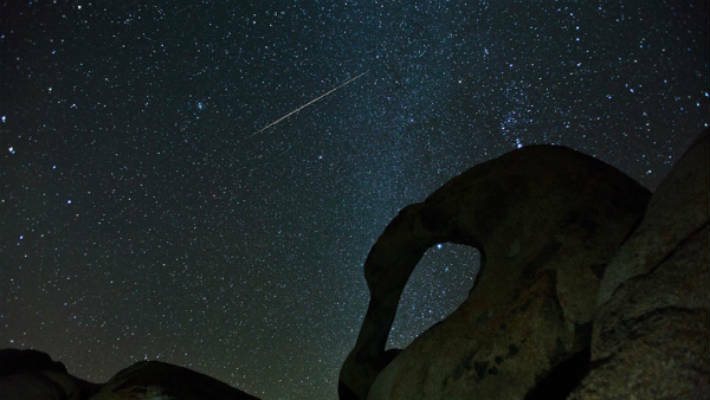 - Are You Ready to View the Geminids Meteor Shower?